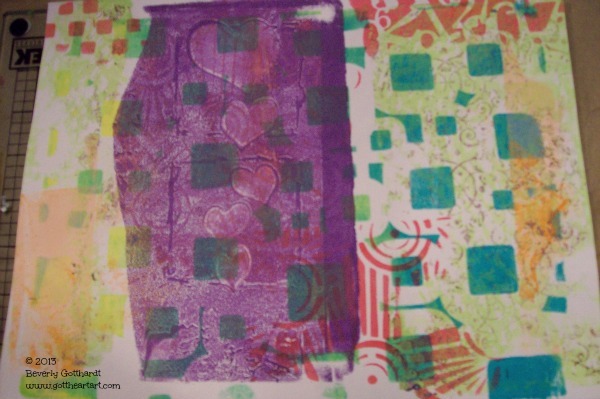 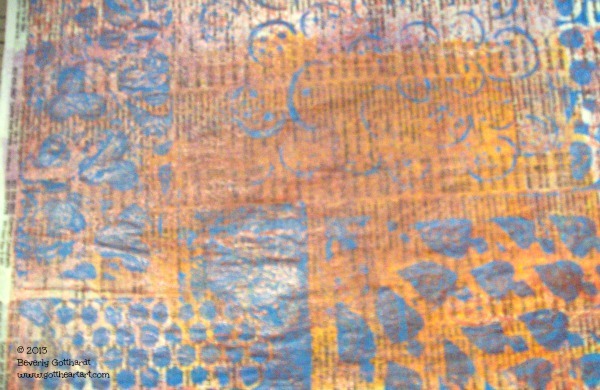 These 6 prints are from my take on Carolyn's 5th Class in the Gelli Plate Printing Workshop. 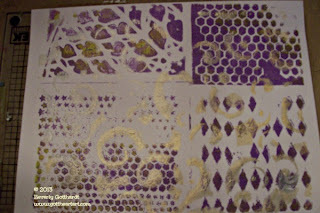 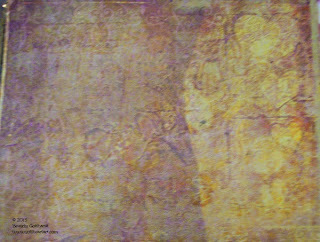 The first two are adding layers to prints already made by just using part of the stencil on the Gelli Plate. 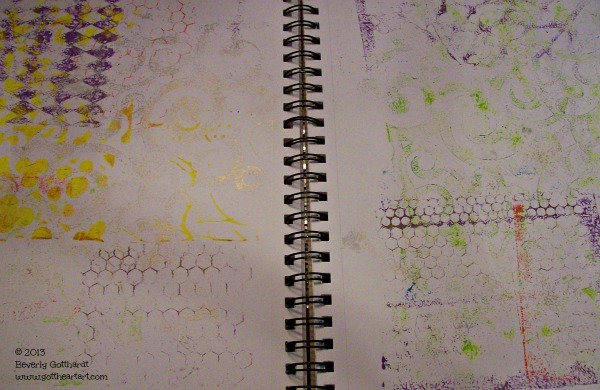 The third print is printing just a bit here and a bit there in a Composition Book. 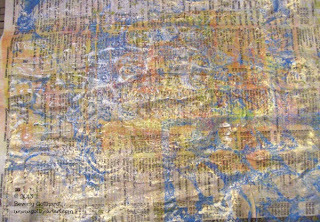 The 5th print is on old phone book pages that I clean my brayer off on and the 4th and 6th prints are ghost prints from this lesson. Looks like I was in a kind of purple, orange, blue mood today. 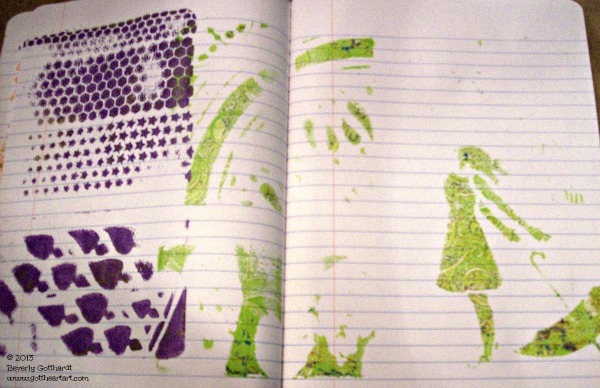 The next prints are my take on the 6th Class in the workshop: 5 Stencils. 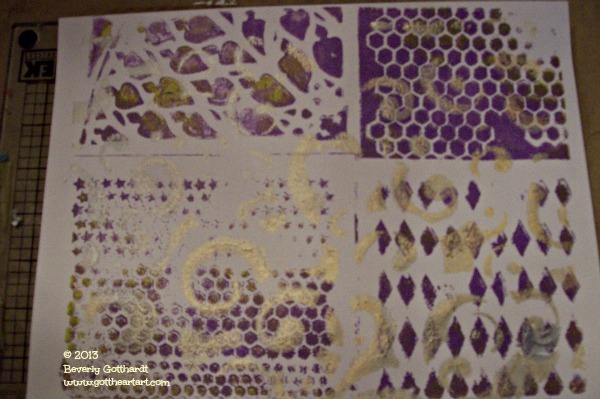 Placing smaller stencils around and slightly of the Gelli Plate to get a variety of interest on your prints. 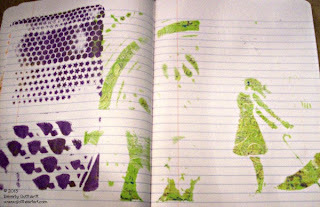 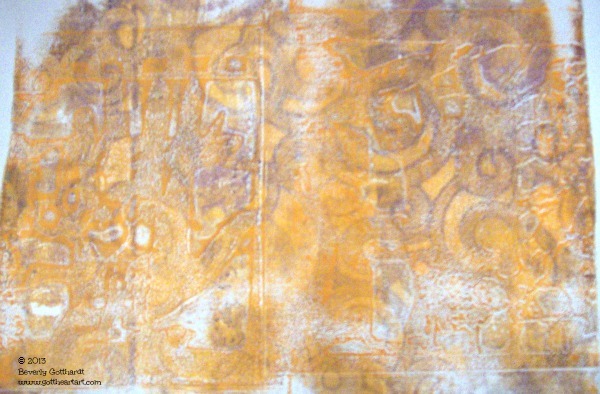 Also, the prints in the journal are from cleaning off the stencils. 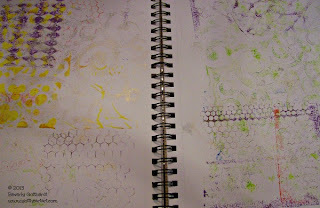 I couldn't resist getting out some gold and silver acrylic paint to add some sparkle and interest also. 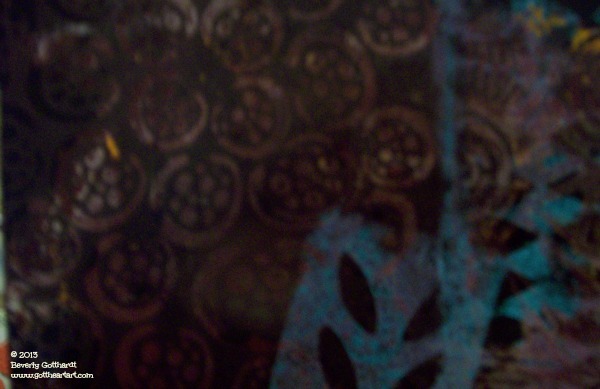 I love metallics. 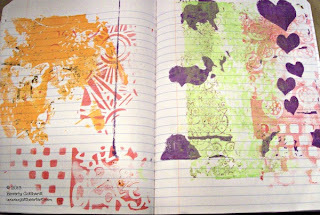 These two lessons do not catch me up, but come Saturday I plan to be completely caught up with the lessons Carolyn has posted so far. There will be another Friday. 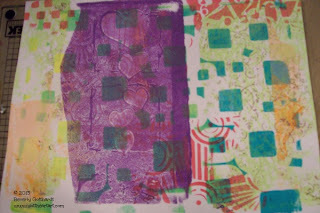 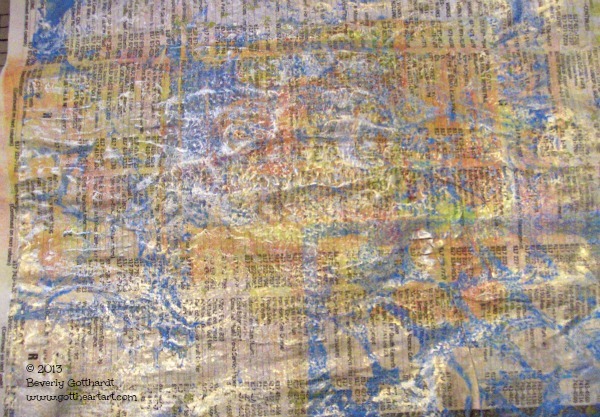 If you are not familiar with Carolyn Dube be sure to go check out her blog you'll see some really neat Gelli Plate Printing and her other art.